Will interpretation issues may arise as a result of ambiguous provisions in the will. It is important to consult an estate lawyer if you suspect any will interpretation issues. Call Charles Ticker at: 1-866-677-7746. Will interpretation issues typically arise as a result of some kind of ambiguity in a will. If a will is ambiguous as to the intentions of the person making the will (the testator), then the will may be subject to a will challenge from one or more of the beneficiaries. If a beneficiary is dissatisfied with the will interpretation by the executor (the person administering the estate), then the disgruntled beneficiary may commence a will challenge. There are even situations when the executor of the will may be found to be personally liable for an faulty interpretation of an ambiguous provision in the will. The executor of a will must be careful when administering a will, especially if there are will interpretation issues. A will may not always be clear. To protect themselves from personal liability and costly estate litigation, executors should seek the advice of an estate lawyer. If needed, the executor of a will can make an application under Rule 14.05 of the Ontario Rules of Civil Procedure for the Court to interpret the will. If an executor acts pursuant to a Court order, he or she may be protected pursuant to Section 63 of the Trustee Act. Consulting with an estate lawyer is prudent to ensure that the executor actually is protected. Furthermore, if your dispute is located in Toronto, you should consult a Toronto estate litigation lawyer since estate disputes in Toronto and some other parties of Ontario are subject to mandatory mediation. Charles Ticker has represented executors in various will interpretation disputes. He has also helped executors with applications under Rule 14.05 of the Ontario Rules of Civil Procedure. Charles can help prepare the necessary documentation for the Court. He can frame the specific questions to which the executor is seeking an answer from the Court. He can also suggest favorable interpretations of the problematic provisions from which the Court can select. Charles Ticker can also represent beneficiaries in will interpretation disputes. If a beneficiary has an issue with will interpretation, he or she will have to present alternative interpretations of the provisions in question to the Court. In this case Charles Ticker would advocate for an interpretation that favors the beneficiary. Charles is also a qualified mediator. This serves executors and beneficiaries in will interpretation disputes particularly well in jurisdictions where mediation is mandatory such as Toronto, Ottawa, and the County of Essex. 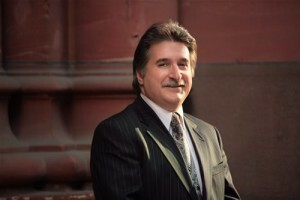 Mr. Charles Ticker has been a lawyer for over 35 years and restricts his practice to estate litigation, estate administration and mediation of estate disputes.